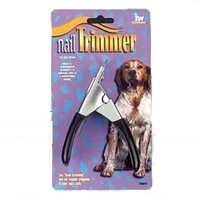 The Deluxe Nail Clipper is a heavy duty clipper with a built in nail guard. This non-slip clipper is safe and easy to use. The Grip Soft Fine Comb can be used on all breeds with fine textured coats to remove tangles and break up mats. 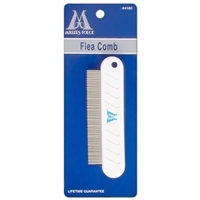 The Fine Comb is also handy for long haired breeds to brush the feathers on the legs and to keep the tail silky and tangle free. 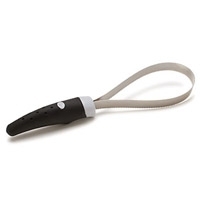 The JW non-slip curved rubber handle makes grooming your pet comfortable and easy. 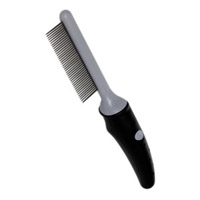 The Grip Soft Medium Comb can be used on breeds of all types to remove tangles, mats, loose hair and dirt. 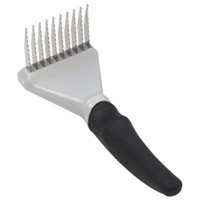 Start with this comfortable ergonomically designed comb to gently loosen mats and then follow up with the JW Slicker or Pin brush depending on the type of coat. 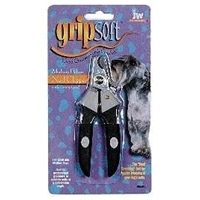 The Large Deluxe Nail Clipper is a heavy duty clipper with a built in nail guard. This non-slip clipper is safe and easy to use. Best suited for large size breeds. 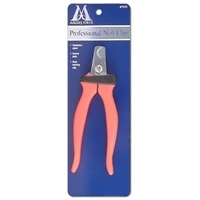 The Medium Deluxe Nail Clipper is a heavy duty clipper with a built in nail guard. This non-slip clipper is safe and easy to use. Best suited for medium size breeds. 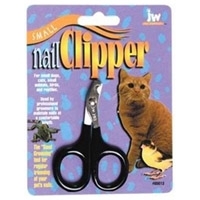 The Small Deluxe Nail Clipper is a heavy duty clipper with a built in nail guard. This non-slip clipper is safe and easy to use. Best suited for small size breeds. 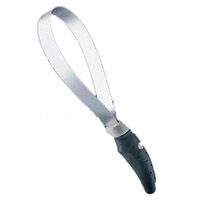 The Grip Soft Shedding Blade Large is a curved oval shaped blade with tiny teeth attached to a soft ergonomically correct handle. 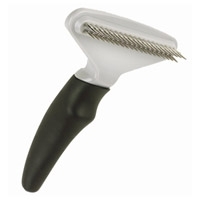 This tool is perfect for removing large amounts of dead and shedding fur on larger breeds. The Shedding Blade also helps to reduce mats when used regularly. The JW non slip ergonomically correct handle is designed to be more comfortable on the hand making grooming a more pleasurable experience for you. 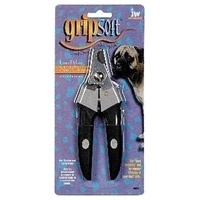 The Grip Soft Shedding Blade is a curved oval shaped blade with tiny teeth attached to a soft ergonomically correct handle. 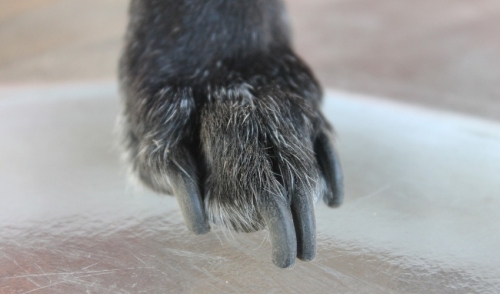 This tool is perfect for removing large amounts of dead and shedding fur on larger breeds. 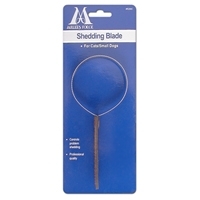 The Shedding Blade also helps to reduce mats when used regularly. The JW non slip ergonomically correct handle is designed to be more comfortable on the hand making grooming a more pleasurable experience for you. 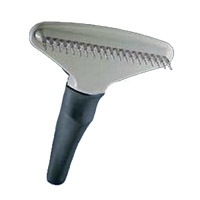 The Grip Soft Dematting Rake is our best tool for cutting and removing mats from the inner layers of your pets fur. This tool has long blades designed to cut through the toughest mats. Always use tool on an angle, holding the rubber handle slanted upright to avoid scratching the skin. The JW non slip ergonomically built handle is designed to be more comfortable on the hand making grooming a more pleasurable experience for you. 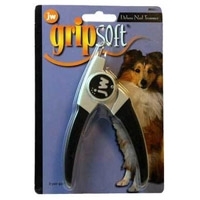 The Grip Soft Undercoat Rake with Short Teeth is used to loosen lightly matted parts of the coat and to lift out dead and shedding hair from the undercoat of shorter-haired breeds. This rake has a row of round tipped teeth that are designed to tend to your pets under layer of hair. The JW non-slip ergonomically correct handle is designed to be more comfortable on the hand making grooming a more pleasurable experience for you. 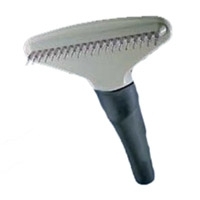 The Grip Soft Undercoat Rake is used to loosen lightly matted parts of the coat and to lift out dead and shedding hair from the undercoat. This rake has a row of round tipped teeth that are designed to tend to your pets under layer of hair. The JW non slip ergonomically correct handle is designed to be more comfortable on the hand making grooming a more pleasurable experience for you. 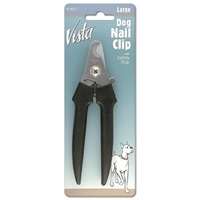 Vista Large Dog Nail Clipper is a heavy duty German stainless steel blade that cuts large dog's thick nails. Also features a removable safety stop. 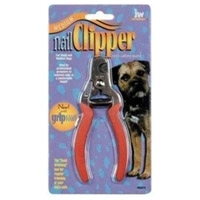 Millers Forge Dog Nail Clipper comes with a safety bar to help prevent over cutting, and sure grip handles to insure a strong grip. 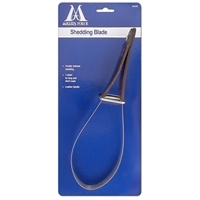 Millers Forge Vista shedding blade removes loose and shedding hair. Made of stainless steel material with stainless steel teeth. 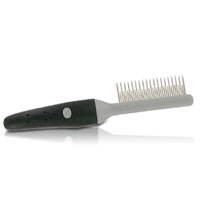 Quick and easy to use as just run it gently over the coat like a comb. Use regularly to maintain a knot free, shiny coat and dramatically reduced shedding. It is a no rust, no tarnish serrated blade, safe for pet. Two sides for both long and short-haired pets. 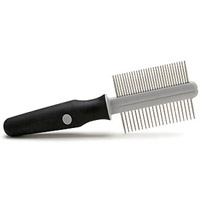 Millers Forge Vista flea comb features ergonomic high strength plastic handle. It also features high quality rust resistant steel teeth. The very close spacing of the flea comb teeth assures the capture and removal of fleas. Easily removes irritating fleas. Easy to hold and transport. Available in mini size. 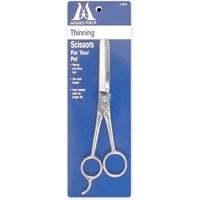 Stainless steel scissors suited to thinning overly-thick or matted coats.